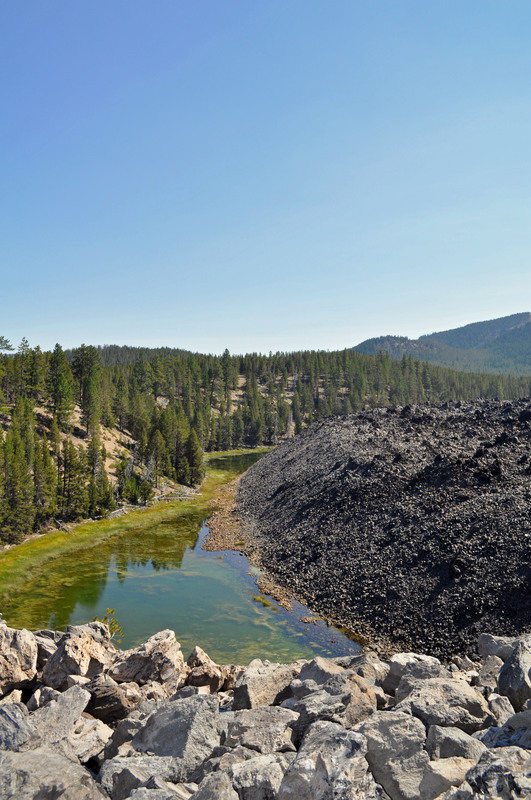 The Big Obsidian Flow, which is part of the Newberry National Volcanic Area outside of Bend, Oregon, actually contains a mixture of pumice and obsidian. 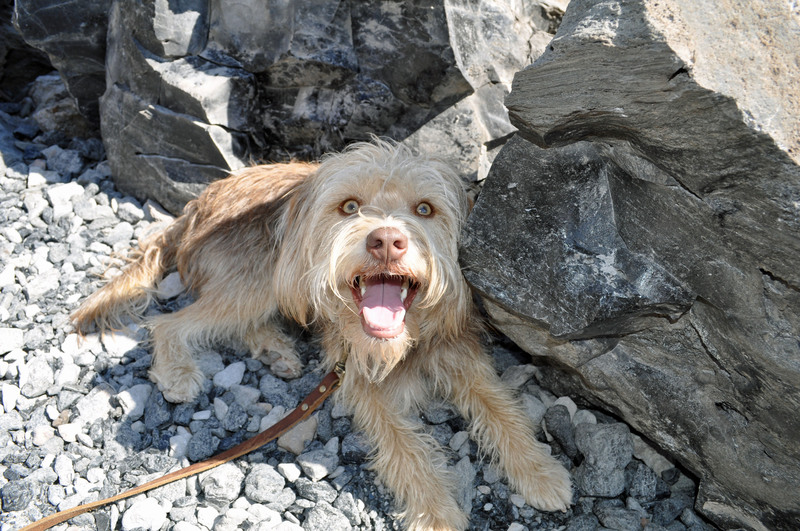 The easy mile-long hike through the flow gives people the chance to see both types of igneous rocks up close. If you want a bird’s eye view of the area, you can see it from Paulina Peak. Cooper accompanied me, but the trail isn’t appropriate for all dogs. 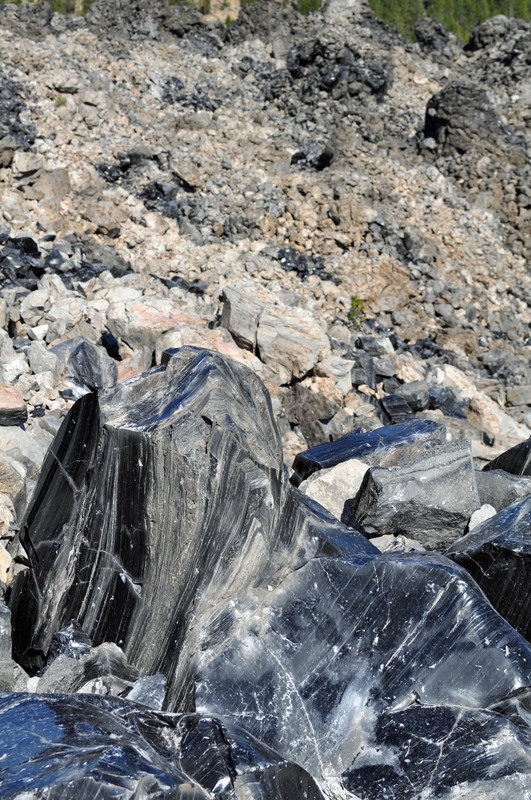 Pumice can scrap and obsidian can cut the pads of their feet. 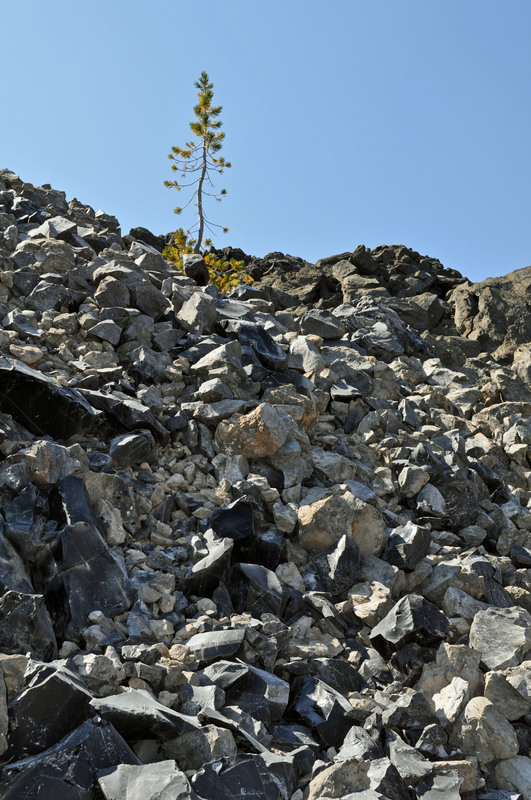 If you do take your dog with you, make sure you bring water on the trail because the sun can get intense as it reflects off the black glass surface of the obsidian and check the pads of your dog’s feet for injuries when you return to the car.